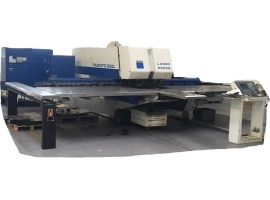 Machine Model CNC punching and laser cutting machine stock-no. 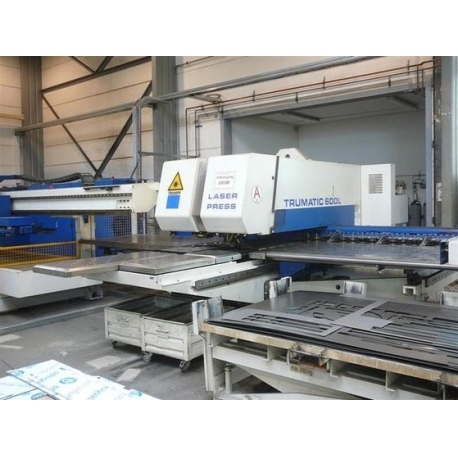 MA788 manufacturer TRUMPF TYPE TC 600L built in 2000 FMC-type laser TLF 2400 turbo laser power 2400W sat. 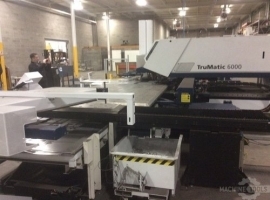 Hours 48,972 hours resonator L-beam is a 5568 hours control Siemens Sinumerik 840D standard X-workspace in the combined operation 2535mm Hi-Las high pressure cutting laser cutting head progr with 5 "lens cutting head quick change device. 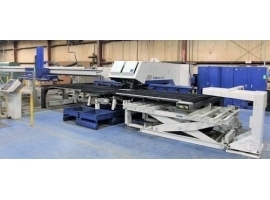 Cutting gas selection / pressure setting capacitive distance control compact dust 18 pc tool cassettes 18 St. Matrizenteller 2 clamps automatic tool changer with 19 stations (21-clamps) rotation of all tools NC-controlled digital maintenance-free AC drive automatic repositioning rapid shutdown of hydraulic automatic shutdown tool length compensation hardware slide 500x500mm punching slug suction UmformmÃ¶glickeit programmable Stanzwerkeugschmierung programmable hold-down adaptive HublÃ¤ngensteÃ¼rung safety features remote diagnostics facility RJ 45 network connection 3.5 "- floppy detailed instructions optional laser cutting head with 7.5 "lens function multitool function tapping function Softpunch an additional clamp on vibration dampers automation TRUMALIFT SheetMaster unloading platform no Beladepodest TRUMAGRIP including lifting table 200mm The data are mechanically translated in the english language. Translation errors are possible. 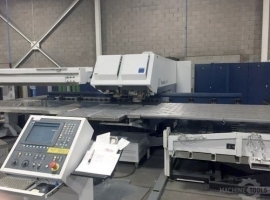 No guarantee for printed data and pricing.